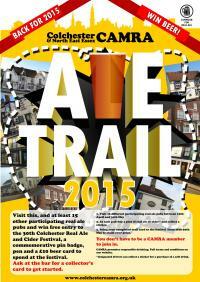 The 3rd Colchester CAMRA Ale Trail starts on 12th April. Visit pubs, drink real ale (or real cider) and win prizes. Ask for a collectors card in any of the pubs to get started.